Drawing weekly from life is my artistic touchstone. 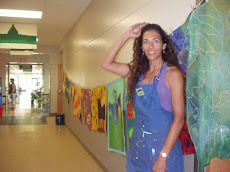 I love working in a peaceful room with other artists. Our figure drawing group, run by artist Dawn Emerson at C.O.C.C, is a happy one. Mostly it's quiet, with Dawn's eclectic music playing as background music. But sometimes there's cheerful banter between artists and the model. During each session we start out with 2 minute drawings and end up with poses that are about 30 minutes long at most. Today I glanced to my right and noticed that the artist sitting next to me had a beautiful profile. So, while he concentrated on the model, I took a break from drawing the model and drew him. His name is Tripp. The drawing is ink on paper. 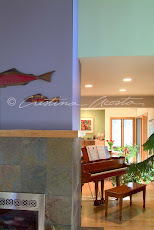 Staying inspired enough to work when there is little in the way of art sales can be a challenge. I've been an artist for a over 2 decades and have had to adjust to this challenge more than once over the years. With the dire economic reports now dominating the news, keeping up my enthusiasm and inspiration to work is more of a challenge than during good economic times when commissions, exhibits and sales opportunities kept the money coming. Keep up my exercise/sports routine. In fact - I look for an exercise goal like a race or strength goal to focus on. It's often easier to see results within a couple of months from an exercise routine than from work. Pay attention to nutrition. 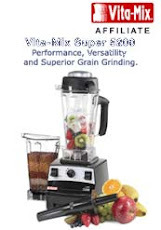 Eat and drink moderately. Find consistent time to work on my creative work and stick with my self-imposed discipline. 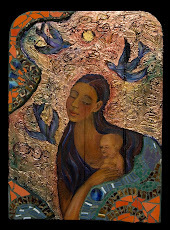 Look at the work of other artists -- both present and past. Support other artists with encouraging notes or comments. When I can -- buy gifts from artists and artisans who make their own work. Be on the lookout for new experiences and insights to "fill the well". Even if I can't travel, I'll explore a subject or place on the internet. Or I'll make an effort to experience a well traveled path in a different way. If I have to stop working on my art for a while to find other work that results in more immediate money, I make sure to fit some sort of creative activity into every day. This really helped when I had a baby and realized that my time was no longer my own. With this attitude I was able to slip back into the habit of my artwork without a lot of trouble. Photo: I took this photo in Albuquerque. 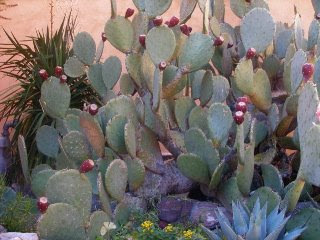 This cactus bush had such a gorgeous combination of color, shape and texture. Sometimes a closer look at a ordinary thing -- like a plant alongside a path I'm walking -- can inspire. Doing a quick sketch of a person in real life is very different than drawing from a photograph, and it's a much more pleasurable experience. Seeing and sensing the spaces around the model and picking up the mood and likeness of the person is a fun and interesting "game". Poses in a life drawing session are usually as short as a minute or 2 and as long as an hour or 2. 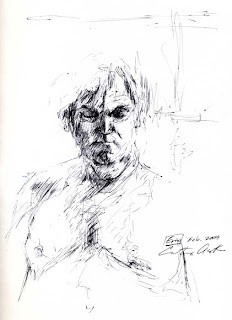 I especially enjoy the challenge creating a sketch of a person entails. I concentrate on sensing every relationship both visual and kinesthetically, then recording those sensations as I draw. 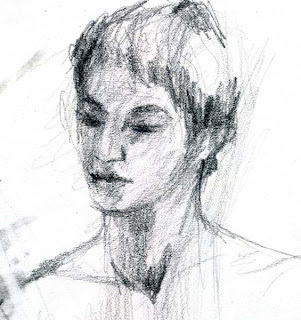 If you want to get better at drawing, there is no substitute for drawing a real-life model -- no photos or videos. Photos and videos are great reference for the experienced artist, but for the person wishing to use sketch time as a time to hone the craft of drawing, real life is the only thing to work with. This graphite 6B pencil sketch on a drawing tablet was about a 10 minute sketch. I do a lot of sketches that don't work out, so even though the 10 minutes involved in this sketch may seem like a simple thing, when I factor in all of my less successful explorations and experiences, the time is a lot longer. Hearts are a theme I work with a lot in my work, regardless of the style or series I'm working in. Maybe my obsession with the heart motif is a Chicano artist thing, though I didn't think about the Chicano/a artist aspect of the corazon (heart) image until I noticed that I've been into the heart image for years. 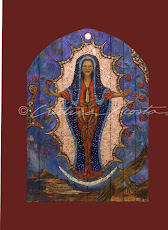 Sometimes I'll paint the heart with a realistic aspect like in my retablo, Running Meditation. In that retablo image, the heart is a winged heart sprouting a wreath of green leaves. In a recent charcoal drawing I created for the offrenda at the ASU Anthropology Museum's Dia de los Muertos exhibit, the heart image is created from black charcoal and tinged with iron oxide chalk. This painting is completely, wildly happy. After I had a child and realized that the early years of our marriage (the honeymoon stage) were over and we'd moved on to something new as parents, I painted this. In a certain sense it's not only commemorative for me, but also an inspiration to remember the fun and light-hearted moments my husband and I can still enjoy with each other. 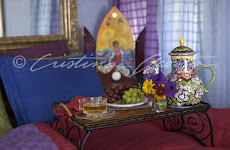 Hearts and flowers and dancing on the bed (metaphorically) are the theme of this happy piece I titled, The Honeymooners. It's an acrylic and pastel 30" x 22" painting from my Paint Happy series, the same series I focused on in my book, Paint Happy. 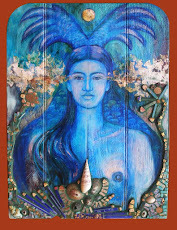 Though this painting has been hanging in my home for years, the original is for sale. People are one of my most favorite things to draw. I love the expressions of energy and personality the body conveys whether moving or still. Lately I've been going back to my artistic roots to redefine the direction of my artwork. Reconnecting with the discipline of figure drawing is kind of like getting back into an advanced exercise program. It takes me a little time to readjust my eye hand coordination so that every move of my hand expresses the feelings and sensations my eyes and mind coalesce. I've been dropping in on figure drawing sessions at our local college, with a sketchbook and drawing tools. I prefer graphite pencil, charcoal and roller-ball point pens. I especially like the permanent trail of marks the pen makes as I draw -- it's a very tight discipline. 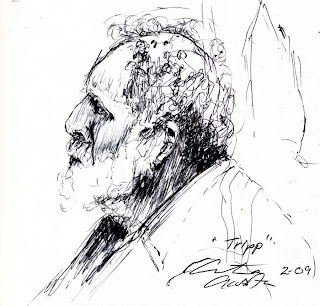 The portrait drawing above is a pen drawing of our model, Eric. Hi! 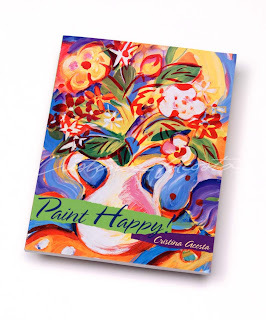 I've got your Paint Happy book and I love it! But I have a question about how to "finish" my acrylic painting since I used hard pastel on tops of the paint. Can I use the fixative you suggested for the pastels and charcoal on top of the acrylic? I don't want to use something that will damage the acrylic. I'm sorry to bother you directly, but I didn't read in your book tat you covered the entire piece with anything when you were done with it. . . I love how your book helps me express what's in my heart and get past my own self-consciousness. It gives me the courage to be bold and just Go For IT!!! . . . Thanks for your help! P.S. I made a cool picture for my husband for Valentine's Day! Thanks for the inspiration and encouragement!!! Thanks for your nice letter. I spray the entire painting with Spray Fixative. It doesn't hurt the acrylic. Spray fix tends to dampen down the color clarity of the hard pastels, but as they are hard pastels (Prismacolor Nu Pastel) rather than soft, traditional pastels, the paint supports the image. Therefore the damping down effect is very minimal. Good luck with your work. I'd love to see a photo of your finished piece. Though Paint Happy is out of print, you can purchase copies on Amazon. Click through this link and I get a small percentage of the sale to help fund my creative work. Ask most anyone (who is not an artist) to draw you a map to their favorite store. Give them a pen and paper and you'll get a map with all sorts of streets and landmarks. Ask them to doodle while talking or listening and you'll be amazed at what you'll see. Give that same person a pencil, tell them you're an artist, then ask if they can draw. They'll usually say no. (That's been my experience.) It's time to get over the mind-set. The truth is that anyone who can write, can draw. The eye-hand coordination necessary to shape letters and the understanding of symbols (the letters and their combination) is a form of drawing (ask any calligrapher). Making that drawing beautiful or up to whatever standard you have for yourself is a different subject. Even if you're drawing "ugly" drawings, you're still drawing. And -- even if the drawing is a very realistic looking rendering, it is still a map of the artist's thoughts. That is what I love so much about looking at drawings -- they are very clear representations of the artist's thought process as they looked either with their eyes, or in their mind's eye. So own up to the drawing you do, no matter what it looks like. 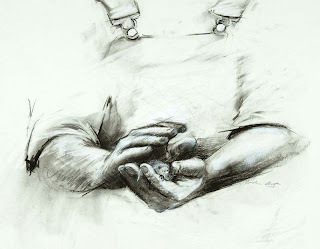 Do more drawings, and when you look at them rather than assessing whether they are "good" or "bad", notice how your mind traveled and what you placed your attention upon (the reason one part of a figurative (realistic) drawing may be out of proportion compared to another part of the same drawing). Note: Both of my drawings shown here are very different because they are conveying different things. I made the drawing of the Caring Hands to illustrate a poster for the play "Of Mice and Men". The goal for the piece was to look realistic, rustic and a little foreboding. 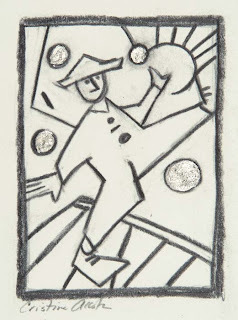 The drawing of the Marching Man was created to illustrate a design concept related to shapes. Both of my original pencil drawings exhibit different intellectual and emotional goals. The Marching Man drawing is available for sale through High Desert Gallery. 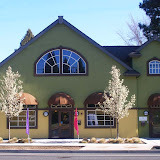 High Desert Gallery has locations in Sisters, Oregon and Redmond, Oregon.